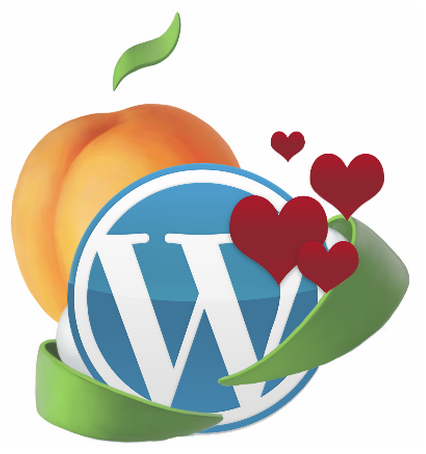 Version 5.4 of Wild Apricot now has WordPress integration! Version 5.4 also brings enhancements to our API and text formatting options. Plus a brand new mobile-friendly theme. 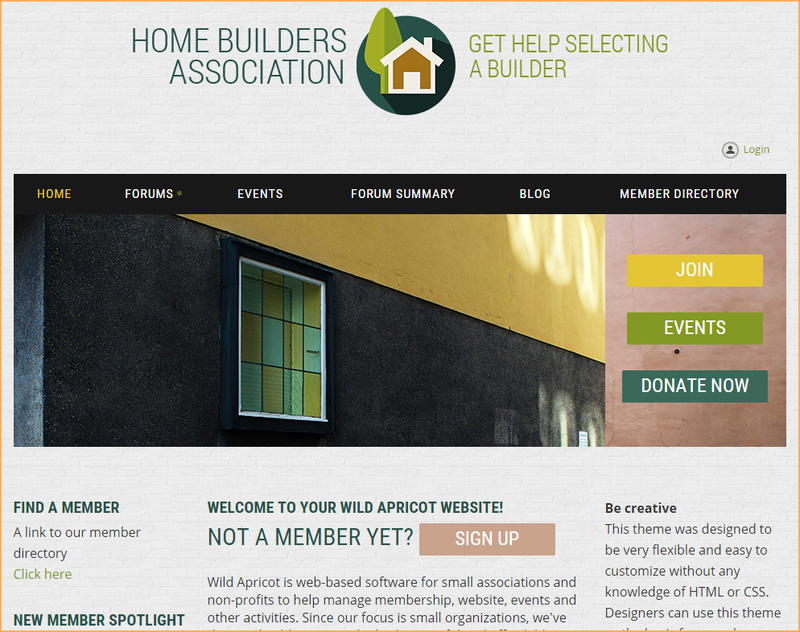 Allow Wild Apricot members to logon to both their Wild Apricot and WordPress accounts from a single logon screen. Update WordPress roles with your Wild Apricot membership levels. With Wild Apricot's single sign-on service – and some coding – you can integrate an external site – like your Joomla or Drupal site – with your Wild Apricot site. With single sign-on implemented, your members can log into both sites using their Wild Apricot credentials, and content on your external site can be restricted to Wild Apricot members. The single sign-on service was initially developed to support integration with WordPress, but can be used with any site that supports server-side code. See our help page more information. 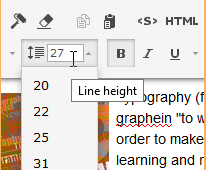 With Version 5.4, you can now control line height or line spacing (aka leading) – the vertical space between lines within a paragraph. You can now set the line height separately for each paragraph, or for multiple paragraphs. With Version 5.4 comes our latest fully responsive, mobile-friendly theme set – Homestead. The ability to use a “sticky placeholder” to create a non-scrolling area at the top of the page – perfect for sticky menus. Along with new features and product enhancements, version 5.4 brings some important API changes. 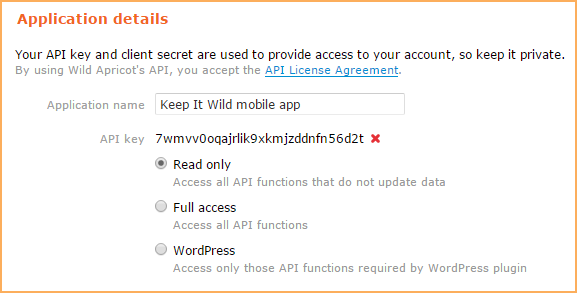 Instead of generating an API key to provide full access to your entire account, version 5.4 of Wild Apricot now requires you to authorize individual applications to access your Wild Apricot account. This is a more secure approach since it allows you to limit access differently for different applications. Consequently, the API key option on the Settings screen has been replaced with an Authorized applications option. If you've previously generated an API key for your account – prior to the 5.4 release – it will automatically be converted to an authorized application called "Legacy API key". While authorizing an external application, you can now limit the API key to read-only access. For applications that provide account access to individual users (a mobile app, for example), the application now needs a client ID and a client secret for authentication (see below). For more information on the API key option changes, see the Authorizing external applications on our help site. Wild Apricot has changed the authentication process for version 2 of its API, from account authentication to the more secure application-based authorization. NOTE: If you are using Wild Apricot account credentials to authenticate your application, not the API key, you must change the authorization header of your authentication token request. Read more here. If you are using an API key to authenticate your application, no code changes are required. For all of the details on what's new, check out the 5.4 release notes in our online help. And if you have any questions about any of these new features or enhancements, you can contact our support team at: support@wildapricot.com. 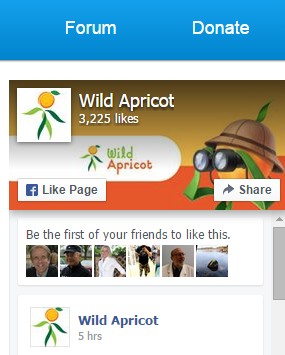 Not using Wild Apricot yet? What are you waiting for? Try out these new features and more. Sign up for an instant free trial today.